Or how the anger of working people gets funneled to the service of the State and those who control it. Prime Minister Narendra Modi’s audacious move to demonetise about 85% of India’s currency in circulation by value was initially greeted as a decisive step against black money. Though the chaos it has unleashed over the month has tempered that fervour, demonetisation is still seen as a “well-intentioned” decision, even when its implementation or design are being criticised. There seems to be almost a consensus now that the move will badly hurt the economy. But the Opposition does not appear to have found many takers for their criticisms. Despite the widespread suffering being reported, people seem willing to give the prime minister some more time to prove his claim that he is trying to fight black money. This is so because in India we see the world through the eyes of the State, because we have lost our ability to differentiate between the republic and its State. Thus “black money” has become the single greatest marker of what is wrong with India today, whereas, the category of “black money” itself is meaningless outside the logic of State. To understand this, the first step is to ask a simple question: what exactly is black money? Whom is it “black” for – or whom is it kept in the dark from? This money is surely not hidden from the economy where it is invested and circulates (only 6% of black money is hoarded in cash, according to estimates). It is also not hidden from society at large – even when people do not know precise figures, the source, magnitude and use of such wealth is common knowledge. The answer to our question – “what exactly is black money” – is, money that is unaccounted for and hidden from the State, even as everyone else knows of its existence and partakes in its life-cycle. From the State’s perspective, any economic activity that it cannot see is “black”. How does the State see? Through its institutions of administration and tax collection. Any economic activity conducted within the sovereign territory of the State and not reported to it – whether it is under/over-invoicing of thousands of crores of rupees or a cash transaction of just one Rs 100 – generates “black money”. The State may choose to ignore one and penalise the other, depending on its abilities and political inclinations. 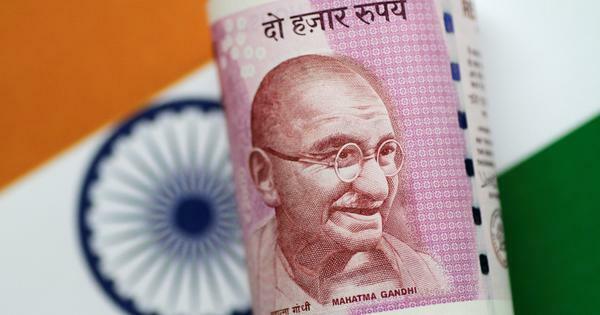 It may let some large corporations off the hook on “black money” worth billions of dollars for the sake of economic growth, as has often happened; it may well crack down on small businesses. For the State there is no category difference between these two types of economic evasion, only a difference of degree. What then is the problem, one may ask, if we adopt the viewpoint of the State? The State is an overlord which the people give themselves. It is an instrument to benefit the people. A modern democratic republic is premised on drawing strict limits to the exercise of State power. When we adopt the viewpoint of the State we imperceptibly shift our political position from one which considers the State a necessary evil, beneficial only when it is kept subservient to the people, to a politics which considers the State supreme and demands unquestioning loyalty from citizens. In India the consensus over the need to fight black money suggests that we all now “see like the State”, having abandoned the viewpoint of the citizen and of civil society. This is perhaps a result of our deep nationalism – shared across the political spectrum – which helps people uncritically identify as one with the nation-state. This then makes people believe that black money is the greatest threat to “our” existence. It allows people to accept that demonetisation has destroyed their livelihoods but then assert that they will gladly suffer for the benefit of the nation-state. There can be, thus, a spontaneous unity on this issue “in national interest” – the differences remain over implementation and are immediately reduced to mere “politics”. How then can one view it differently? The trick is to look at it from the perspective of people – the citizens – and their economic activities. From this perspective we can identify two distinct types of economic activity which the State conflates into the hold-all category of “black money”. One is the activity of capital accumulation. This is done primarily by industrialists and businessmen who hide significant parts of their turnover, and circumvent environmental and labour laws. This expands their capital while protecting it from political pressures for redistribution, which are inescapable in a democratic set-up. Then there is also the “rent-seeking”, the bribes and untaxed services by administrators and professionals, which range from petty amounts to such staggering sums as to become a means for the accumulation of capital. Depending on whether and what the State chooses to “see”, different forms of capital accumulation may be legal or illegal at different times. But from the perspective of the people (or the economy) the difference between black-money-capital and white-money-capital is irrelevantly legal. Such accumulation has the same effect of helping concentrate capital and redistribute resources from labour towards capital. There is another form of income and asset which is kept out of the purview of the State. This is the economic activity of hundreds of millions of micro and small entrepreneurs, small artisans and handicraftsmen, small, medium and landless peasants, and wage labourers. Such economic activity, in its individual instance, is often too small for the State to bother about. Yet it is hidden because the State has been, since times immemorial, a tyrant which often uses its monopoly on power to expropriate the income, savings and working capital of the powerless and vulnerable. Hiding from the gaze of the State has historically been an elementary act of survival for working people. The historical experience of the working people of India has been that their assets, income and savings, once visible to the State, are often transferred to the powerful and moneyed through the mediation of the State. Various instruments (and ideologies) of the State are used to “spread the tax net”, encroach the commons, appropriate the property of the poor and skew public finances to further private accumulation of capital. “Seeing like the State” it is nearly impossible to distinguish between the tricks of the capitalists to escape public scrutiny and the desperate survival tactics of the working poor. Adopting the vision of the State about black money builds a moral equivalence between an Adani and a street side vendor. It is worth pondering why each anti-corruption movement (whether in the 1970s, the late 1980s, and in the past five years) has led to the eventual strengthening of chauvinist, communal and economically right-wing forces in India. These movements emerge from the anger of working people against the first form of “black money”, yet have done nothing to curb it. On the one hand, with each passing decade the size of that black economy – private capital outside the State’s reach – has only grown. On the other, anti-corruption politics and policy has only helped further disempower the poor and the vulnerable against the increased arbitrariness and penetration of State power. As the present demonetisation measure rolls out, it seems to be following the same path, only much more radically. The forced depositing of all cash in banks and the identification of its owners, to the extent successful, will smoke out all the incomes of the working poor hidden from the gaze of the State. They will now become available for further capital accumulation (there are enough indications from high officials that the massive deposits in the banks are being viewed as investable capital). It will do next to nothing to hinder the accumulation of capital, whether inside or outside the control of the State, which remains a largely cashless enterprise. Seeing like the State, few have been able to avoid the trap of “black money” politics which successfully funnels the anger of working people to the service of the State and those who control it. Aniket Alam is a historian and journalist who teaches at IIIT-Hyderabad.